It irritates a lot in the areas familiar and close to you like most of the important is bikini area. If you shave those intimate areas, you will absolutely feel itching or sore to touch. These are formed like bumps whenever you shave the areas that hide hair follicles rising under the skin. You should immediately seek a homemade treatment due to which the razor bumps can be settled out. 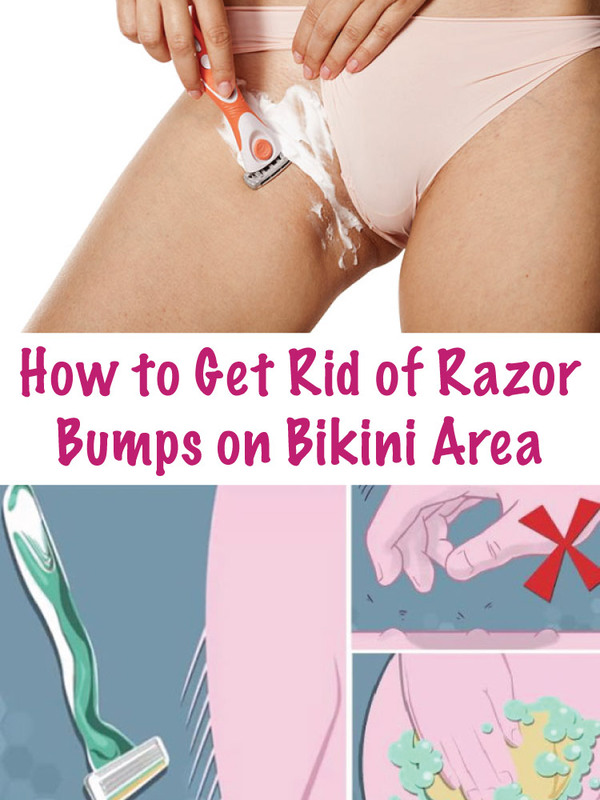 Here you will find many home remedies to get rid of hair grown under the skin and help in getting rid of razor bumps in bikini area. 1. Lemon Juice: To avoid infection spreading through the bacteria those causing growing hair follicles. Lemon is acidic so it helps to stop the irritation and redness. 2. Aloe Vera: Aloe vera is calm in nature that helps to soothe your skin from any itching sensation. Cut a leaf of aloe vera and squeeze the gel outside in a small bowl then apply this gel on the skin. Do not choose the aloe vera containing artificial dyes and fragrances. 4. Tea Tree Oil: Tea tree oil is antibacterial in nature. You would have to add little amount of water to make it dilute before applying on the skin. 5. White Tea: White tea bags are also amazingly curing the irritation caused by shaving. White tea has tannic acid that helps in reducing the inflammatory sensation on the skin. Wet a tea bag and apply on the dry skin. Gradually it will reduce redness and swelling. Note: Take a shower while shaving yourself because in this way your skin can get steam thus makes your hair softer and easy to cut. Rinse with cold water to close the pores and prevent infections.